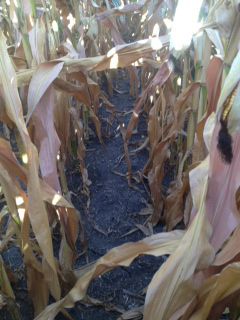 Corn Capital Innovations > Innovation Blog > General > Prioritize Your Fall Harvest Schedule Today! Prioritize Your Fall Harvest Schedule Today! With the variable weather that has taken place in our area the previous two years there are many agronomic situations that are taking place in your corn fields. While we cannot change the weather that has taken place, we can act today to ensure that the weather we have endured this year will not continue to affect us into harvest. The time to prioritize your fall harvest is today! Each and every field will show a wide array of differences to the naked eye. The time to prioritize your fall harvest is today! The decisions you made last fall, this spring, and during the growing season will all impact the harvest ability and overall yield of this crop. 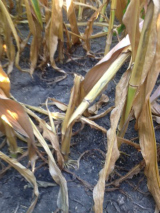 Most of the corn has, or rather is, dying prematurely. The reasons are endless as to why this is happening. Tillage, fertility, planting conditions, and in season applications of nutrients/fungicides will all play an important role in keeping your corn alive and finishing while mitigating the effects of the late season dry spell and heat that has taken place. The next few weeks will be your last opportunity to investigate your corn fields and make agronomic adjustments for next year’s crop! 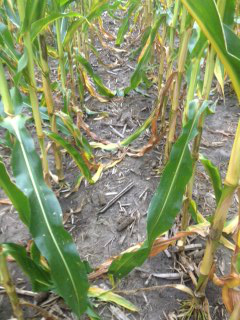 Here are some pictures of what we are seeing in your corn fields. Above and below the canopy, lower canopy has just started to cannibalize while the upper canopy is intact, these plants are still moving nutrients up the stock and into the ear to continue the grain fill process. 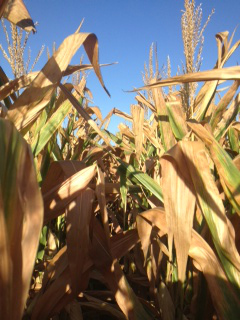 This field will not be a concern at harvest due to the fact that the integrity of the plant has yet to be compromised. 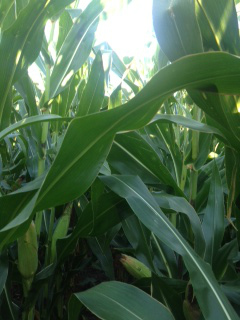 Above and below the canopy, these plants have used all available nutrients to finish the grain fill process. These plants have yet to reach maturity, and all avenues for nutrients to flow to the kernel have officially stopped. This field will be a high priority to get processed and in the bin as this field has sacrificed the integrity of the plant to attempt to finish the grain fill process. To check the stalk integrity we would recommend the pinch test, placing your thumb below the ear, and pressing against the stock towards your four fingers. You will be able to tell if the stock is sponge or intact. 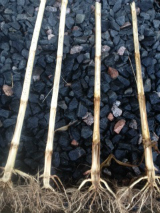 It would also be beneficial to split the stalks open and look at the crown and bottom nodes of the plant to check for stock rots, which will only progress until harvest is over. 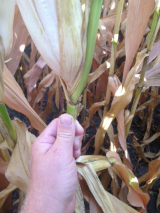 Do not wait since this is one of the most fragile corn crops that we have observed in some time. Be safe!